After a long and arduous search, I have finally completed my collection of all of Meg's work with this episode of Disney's "Avonlea", a weekly series about the community of Avonlea situated on Prince Edward Island. 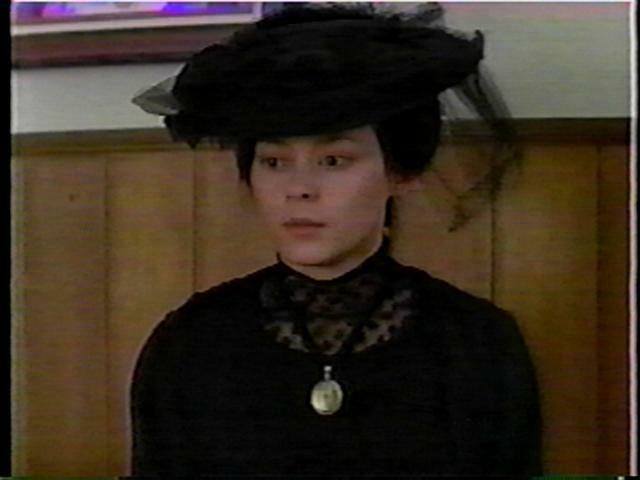 I confess to not having seen (or even heard of) 'Avonlea' prior to becoming a Meg Tilly fan, so I can't tell you much about the series in general. From this one episode, I liken it to the "Little House on the Prairie" in some ways - but I'm sure fans of 'Avonlea' will disagree! So, I'll keep any further comments about the series to myself. In 'Evelyn', Meg plays the part of Evelyn Grier. 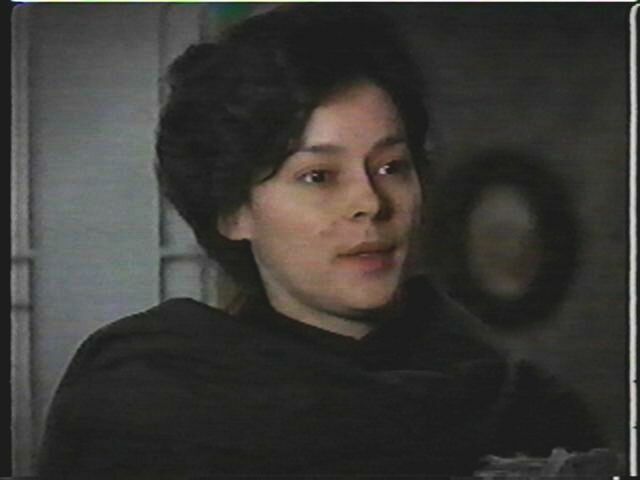 Evelyn has come to Avonlea with her husband Emmett and their child. Emmett apparently used to be a citizen of Avonlea but left some 16 years earlier, but now returns to the community and pairs up with his old chum, Alec. Emmett isn't faring too well financially and he & Alec decide to team up and earn a living by offshore fishing. 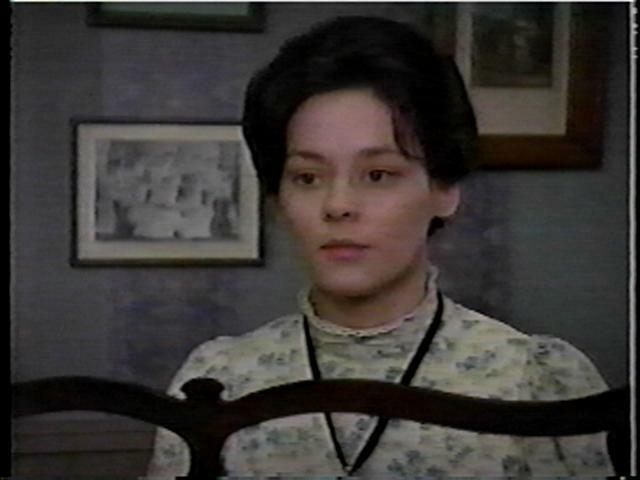 A tragic fishing accident leaves Evelyn widowed and left alone to face the gossips of Avonlea. Being an outsider, and having no family to turn to, Evelyn faces dire straits indeed. She only knows her husband's friend, Alec, and tends to rely on him alone for help. Soon the rumors are flying that Alec is "pitching woo" to Evelyn... not true, of course, but in a small community like Avonlea, such gossip spreads quickly. But, it is true that Evelyn is depending on Alec's help, and it becomes quite a burden for him. They both realize that the best thing all around would be for Evelyn to become independent, so she decides to leave Avonlea and find a life of her own. The moral of the story seems to be (to paraprhase a scene in the episode) that when you shoulder a burden, at first it's heavy... but once you've carried it for a while, it makes you stronger. All in all, it's standard Disney family fare, with a good story and lessons to be learned. Maybe not one of Meg's finest pieces, but her acting is strong and she does seem to like those period pieces!